When I present my Texas History program in schools, I often teach them about Governor J.S. Hogg and of course make reference to his daughter, Ima. I just finished a funny song about Ima and wanted to share the words. It’s to a boogie-woogie pattern. I can’t wait to try it out on the kids. I’ll have to add it to my CD I’m working on as well. If you don’t know anything about Governor Hogg or Ima, you should read about them. 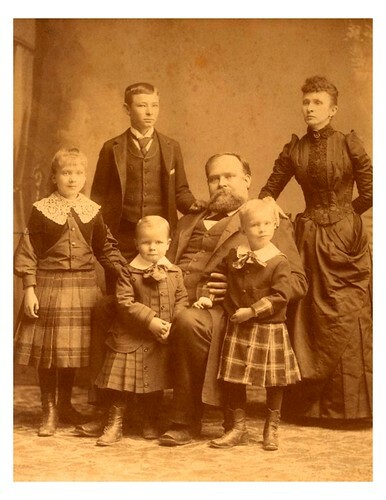 Below the lyrics is a photo of Hogg and his family. The one my father did. When they called my name in class. My face turned red with shame. There’s two Hoggs instead of one. J.S. Hogg & his family. Ima is the girl to the left.